Can Guinea Pigs Run In Balls Or Exercise Wheels Safely? Home Guinea Pigs Can Guinea Pigs Run In Balls? Can Guinea Pigs Run In Balls? Welcome to our complete guide to guinea pig exercise balls and wheels. We all know hamsters love to run in wheels, but is the same true for guinea pigs? Can guinea pigs run in balls safely, or is the an activity best left to other pets? The mental image of your little piggy running around on a wheel is adorable. But is this something that you could actually turn into a reality? And if they are not, what kind of alternatives are there? How can you get your lovely squishy pig some exercise? 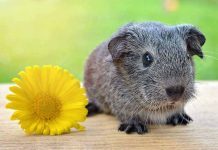 Let’s take a closer look at how guinea pigs are built, and what running in a ball requires of a pet. Should I get a guinea pig ball? If you’ve watched a hamster or gerbil run around in a ball, you might have considered getting an exercise ball for your guinea pig as well. 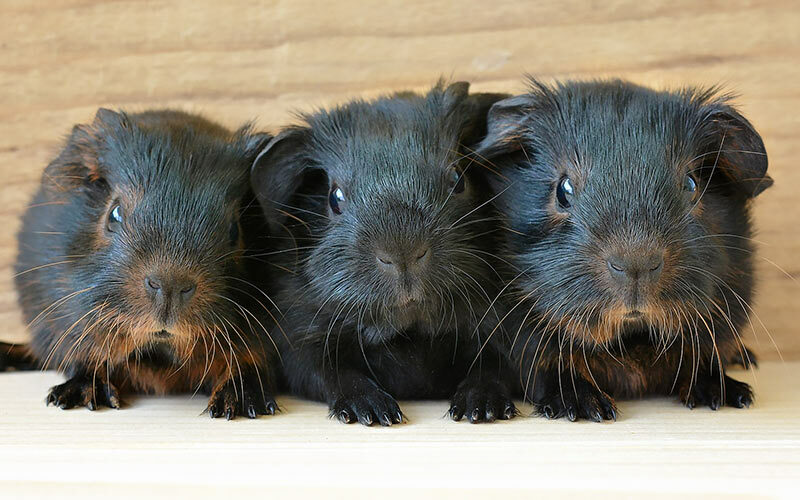 You’ll want your guinea pig to get plenty of exercise and have a fun time while doing so. So, can guinea pigs run in balls too? The general consensus is that guinea pigs should not be placed inside an exercise ball. Are guinea pig balls for guinea pigs a good idea? 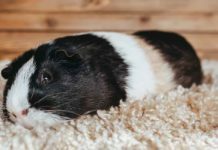 As fun as it looks for other rodents like hamsters and gerbils to play in an exercise ball, it is simply not safe to put your guinea pig into a ball. Balls for guinea pigs are a bad idea because your guinea pig’s back did not evolve to bend back in a U-shape. Think of a hamster in a ball. His back is really arched, isn’t it? Well your guinea pig’s back has not evolved in the same way. As a result, putting your guinea pig in a ball could cause spinal injuries! You might be shocked to hear that another possible outcome is that your little guinea pig could even suffocate! Should I get a guinea pig exercise wheel instead? If the answer to can guinea pigs run in balls is no, what are the alternatives? Since we have ruled out exercise balls for guinea pigs, you might be wondering if guinea pig exercise wheels are a good idea. A lot of small pets have exercise wheels to play with. You might have noticed that guinea pigs typically do not have one. And there’s a very good reason for that. At best, an exercise wheel will just sit there collecting dust. At worse, he or she might use it! Oh no. That would not be a good thing. As mentioned under the section on giving your guinea pig a ball, your guinea pig’s back did not evolve to bend back in a U-shape. If your guinea pig were to play in an exercise wheel, he or she could get spinal injuries here too. They just aren’t designed in a way that is compatible with that curve. This isn’t to say that your little cavy doesn’t need exercise. Because they certainly do! Fortunately, there are safe alternatives for your pet. So what can your guinea pig play with? 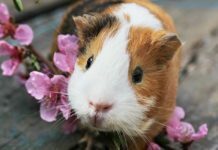 Since wheels for guinea pigs and balls for guinea pigs are not safe play things, what are some safe and fun ideas for guinea pigs? Guinea pigs love to play with cardboard boxes. They enjoy running in and around them. Since they are prey animals, they like hiding in sheltered spaces, so cardboard boxes are a wonderful choice. You can give them old cereal boxes or other cardboard boxes that you no longer need. Just unfold them and make an A-shaped structure. My friend’s guinea pigs absolutely adore playing with these boxes. They like to play hide and seek in them. As soon as they are worn or soiled, my friend replaces them. Since a lot of packaging material is made of cardboard, it is an economical toy for your guinea pig. Can guinea pigs play with clothes or blankets? Clothes and blankets can also be fun play things for your guinea pig. Guinea pigs love to run underneath and hide among clothing and blankets. So if you have old clothes or blankets to give your piggies to play with, they will love it. You can also try hanging pieces of cloth, like fleece, in their cage and allow your guinea pig to hide in there. Here’s another idea. You can take a sock or brown paper bag and stuff hay in there. They love to remove the hay and eat it. Although an exercise ball is not recommended, it is perfectly fine to give your guinea pig a ball to play with. They may enjoy pushing around a ping pong ball or tennis ball. No matter the type of toy, be aware that guinea pigs will get bored of playing with the same ones over and over again. That being said, try mixing things up by switching toys every few days. Can Guinea Pigs Run In Balls Safely? Today we covered the fact that guinea pig balls and guinea pig exercise wheels are bad for your little piggy because they can cause damage to their spines. Although they cannot play with these items, there are plenty of other things they can play with. Cardboard boxes, toilet paper rolls, clothes, pieces of hanging fleece, and other balls are great options.